Ah, the old 1960s tassel belt! A wardrobe staple of hippies the world over. Um, maybe? I decided that I want to try out some of the vintage patterns I post here and I hope to post a pic of this belt in action very soon. 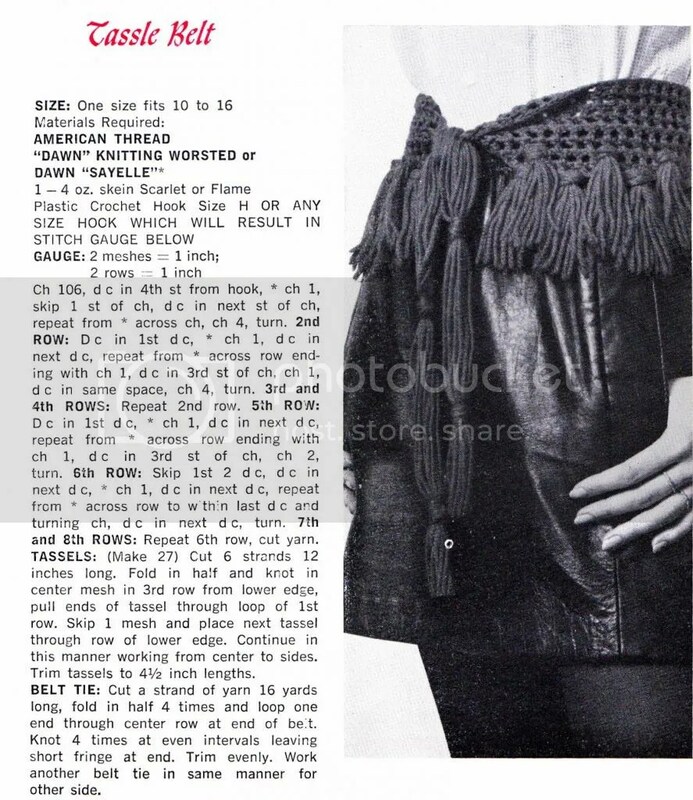 This entry was posted in crochet pattern and tagged 1960s, belt. Bookmark the permalink. I always say there are not enough tassels in my wardrobe. Tassels are really a wardrobe staple. We are really blowing it by being so tassel-less. Wow, what an incredible design! It is pretty neat! I’m trying to decide what color to make mine in, what dress it would complement?